Details: 3BR, 2BA with over 1,735 square feet. Info: Gated golf community condo at Lost Key in Perdido Key on the 3rd floor. Beautiful view of course and community pool. Sliding glass doors from great room and master bedroom to screened balcony. Details: 2BR, 2BA with over 1,495 square feet. Info: Incredible penthouse 2BR/2BA Beach Colony condo in Perdido Key. The architectural design of the penthouse is gorgeous beach living in style. Fully tiled home with 9′ ceilings, granite counter-tops, custom plantation shutters throughout with beautiful furnishings. Details: 2BR, 2BA with over 1,485 square feet. 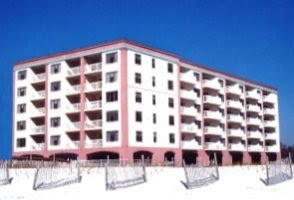 Info: This immaculate 2 bedroom condominium at Galia in Perdido Key is upgraded and beyond. Top floor views looking out over the Intracoastal Waterway, Johnson Beach National Seashore and the Gulf of Mexico. Beautiful travertine tile flooring throughout, quality kitchen cabinetry with the soft close feature on the drawers & cabinet doors and stainless appliances.